Some Things - Solo show at Sylvia Nickerson's Studio in Hamilton, Ontario (March 2012). Carey Jernigan's work features wood, light, and memory. Often working collaboratively, she explores industrial processes, social conditions, and the people and places they shape. She has participated in several public art festivals including Scotiabank Nuit Blanche, Artspin, Long Winter, the AGO's First Thursdays, Art Now at the TOAE, Supercrawl, Winterfest, and Nocturne: Art at Night. 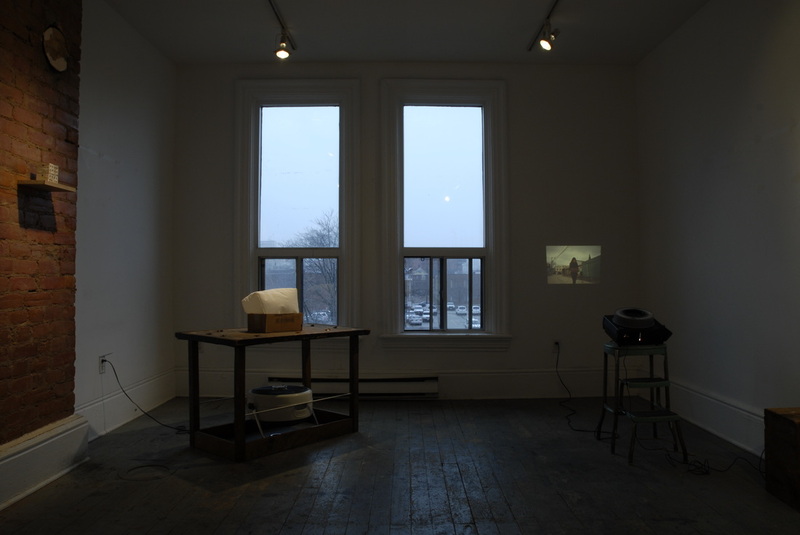 Her work has also been shown at Harbourfront Centre, Parkdale Film & Video Showcase, the Khyber Centre for the Arts, the Anna Leon Owens Gallery, Eyelevel Gallery and the Nova Scotia Public Archives. In 2015, Carey was the recipient of the RBC Emerging Artists Studio Setup Award through Craft Ontario. Her most recent exhibition, Patternmaker, with Julia Campbell-Such at the Workers' Arts and Heritage Centre in Hamilton, ON made Canadian Art's Must-Sees list in September 2016. The Hamilton Arts Council invited her to reflect on Patternmaker and her previous work for it's Echo Artist Talks series (below).